A family is a group of two or more people who define themselves as related by blood, marriage, or some other bond. The definition of family is ever-shifting, and anthropologists in particular have heavily debated the definition of family. Family is a cultural term, and each culture defines family differently; subcultures within a culture often have additional or different definitions of family. In the United States, family is frequently defined as people who are related by blood, such as mothers, fathers, siblings, grandparents, and cousins. People can also become family through marriage; a husband is his wife’s family through marriage and his parents are her in-laws through marriage. Family units are entities that can shift, even within a single culture. A child, for example, might define his/her immediate family as his/her mother and father, while an adult might define his/her immediate family as his/her husband and children. A family unit is generally defined as a group of people who live together and define themselves as family. However, even this definition is ever-shifting, as some cultures define family units as people who live separately. In the U.S., a person would likely still define his spouse as family even if the two temporarily lived apart. Different cultures typically have varying terms for family members. A friend might be classified as family in one culture, but not in another. While biological relationships are real, the definition of family is heavily influenced by cultural values and norms. 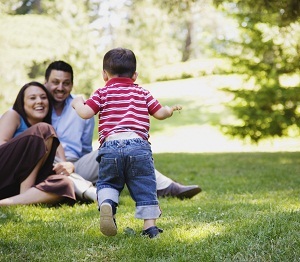 Family plays a central role in psychology and psychological health. Mental health professionals place a strong emphasis on understanding the ways in which a person’s family of origin–the family with whom a person grows up–has affected them, and may look for connections between experiences with a person’s family of origin and his/her marriage, relationships, or friendships. Family therapy aims to provide treatment for an entire family, and family systems therapy examines the relationships and roles between members of a family. thanks you people that made this it help me out a lot.